The Paramilitary 2, on the other hand, sports a Compression Lock. It works like a liner lock that’s disengaged from the back of the knife. 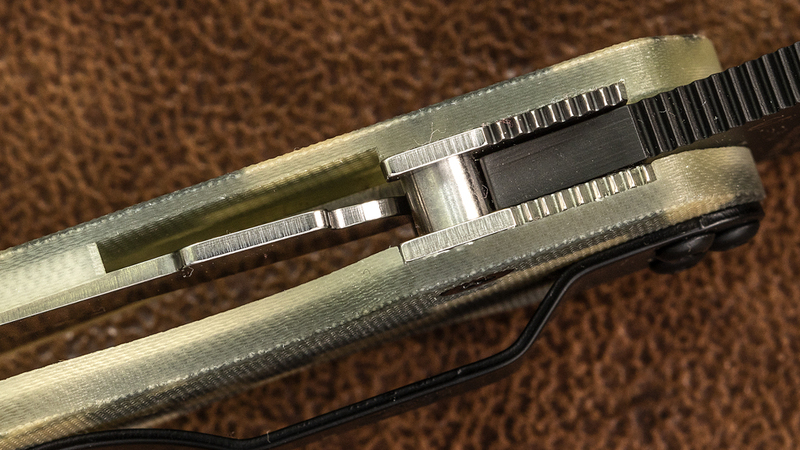 Just like Benchmade’s AXIS system, the Compression Lock makes one-handed opening a cinch. How do they compare? Both locks make it possible to open and close the knife without your fingers crossing the path of the blade, making them safer to operate than many other lock systems. They’re also both high-strength options, so you’re unlikely to see them break from heavy-duty use alone. Hop onto any knife forum and they’ll tell you that the omega springs in the AXIS lock tend to experience wear faster than a coil spring, so keep that in mind. 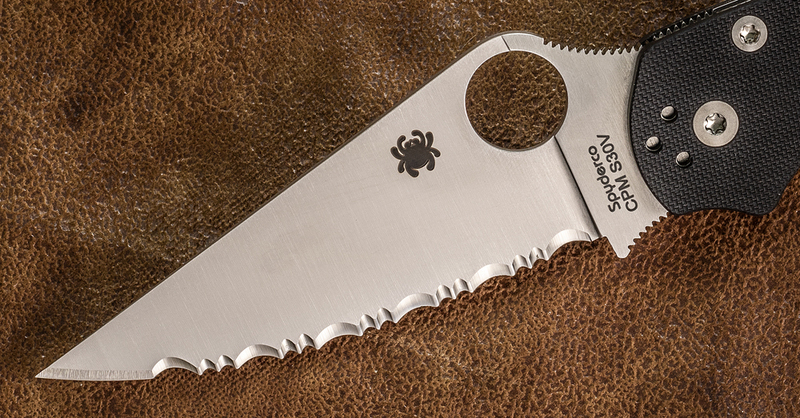 The Compression Lock shares the same near-spotless reputation as the AXIS Lock, but there have been reports of a little blade play that comes along with it in some cases. 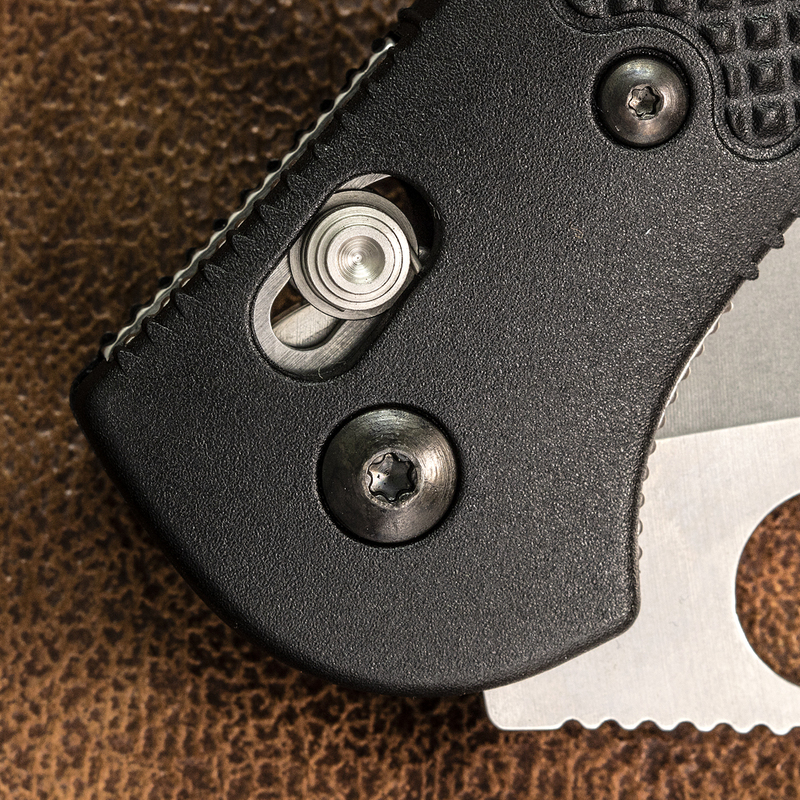 The Griptilian’s base models feature 154CM steel and glass reinforced nylon handle scales. The ergonomics are stellar and thanks to the gentle curves of the handle, it works in a variety of handholds and with all kinds of hand sizes. The Griptilian family is also relatively broad – there are plenty of profile options, from drop point to modified sheepsfoot blades to Western-style tanto variations. You can even get a plain edge and a combo edge, which is unsurprising given the longevity of the lineup. Benchmade also makes it a priority to put out a ton of handle colors, not just your typical OD green or coyote brown options. We’re talking real bright colors like blue, orange, yellow, even pink. For those familiar with the knife industry, you know it tends to favor dark handles, so seeing a slew of color handle options feels like a breath of fresh air. If the standard Griptilian model is a stripped down racer, the upgraded iteration is a luxury sports car. That 154CM steel has been upgraded to a premium CPM-20CV blade, and the GRN handles were upped to contoured G10 with blue liners and anodized standoffs. The base models for the Paramilitary 2 are a little pricier, but that’s because their materials outclass the components on a standard Grip. That G10 handle scale and S30V blade make all the difference. 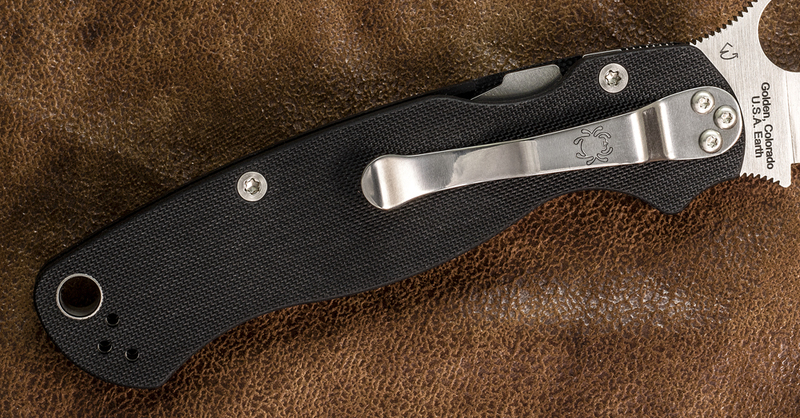 The Paramilitary 2’s handle may not have the same rounded nature as the Griptilian, but it does offer up a forward finger choil that gives even more real estate for larger hands. The four-position pocket clip and extra large lanyard hole add plenty of versatility to the design. The Paramilitary 2 doesn’t have the Griptilian’s diverse blade profile selection, but there are models with a fully serrated edge – an option you won’t find in the Grip family. 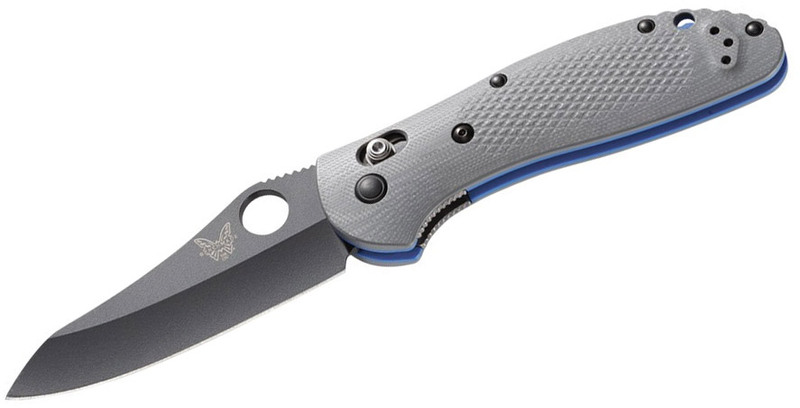 Just like Benchmade’s Griptilian, the Paramilitary 2 has higher end variations that range from regular models to Sprint Runs equipped with fancier handle scales and exotic steels like 52100 tool steel or S110V stainless. 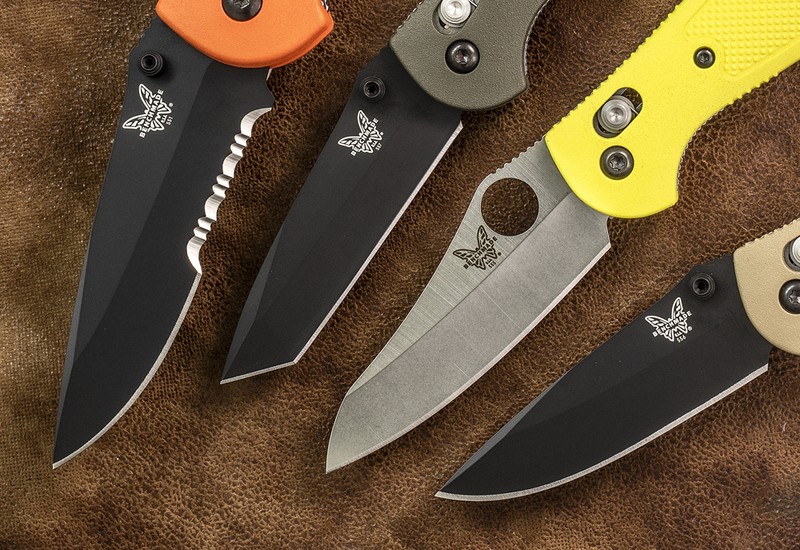 The Paramilitary 2 edges out the Grip in terms of premium materials, but for overall diversity, Benchmade takes the gold medal. 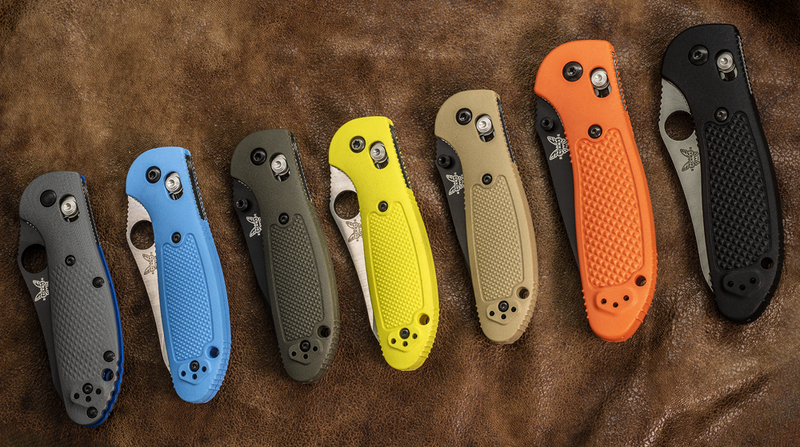 The Mini Griptilian offers the same range of blade styles and handle colors as the full-size Grip, which we’ve already counted as a win for Benchmade, and that includes the high-end G10/20CV variant. 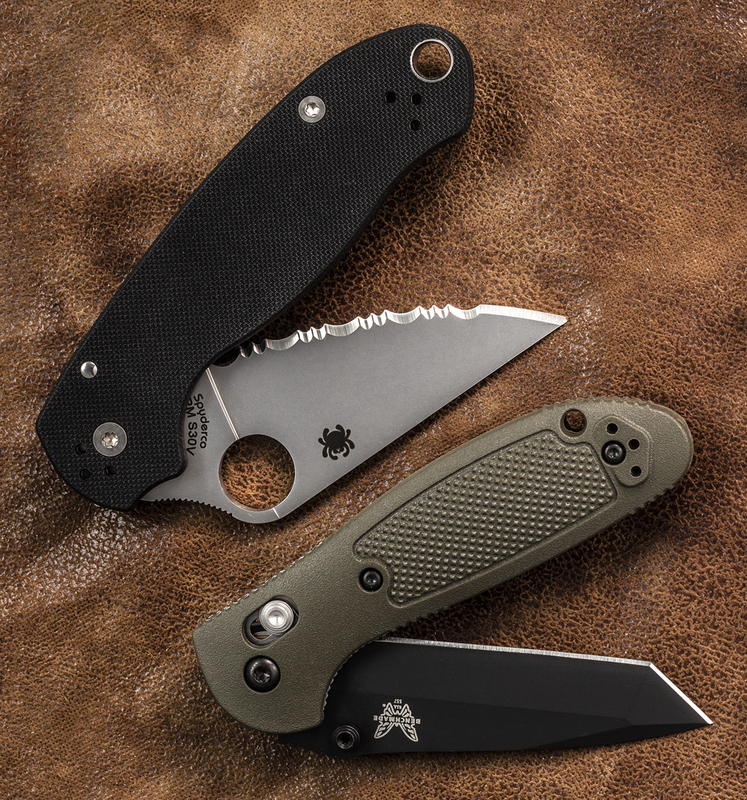 The miniature version of the Paramilitary 2 is the famous Para 3. 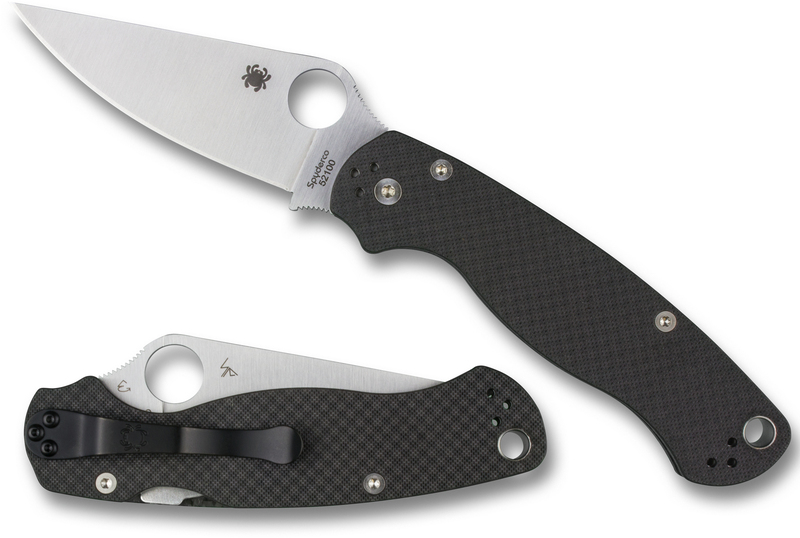 While the standard version of the Para 3 has a slightly less sharpened edge than the Mini Grip, it does have a larger handle. The Para 3 is also offered in upgraded versions, often duplicating Sprint Runs from the Paramilitary 2 lineup. Long story short, these are two incredible EDC knives that are pretty evenly matched with small deviations that could make-or-break which knife you choose to EDC. The good news? They’re both tried and tested knives of the highest caliber, so it’s not like you can make a bad choice. Weigh in with your favorite in the comments below! More Great Combat and Tactical Knives!